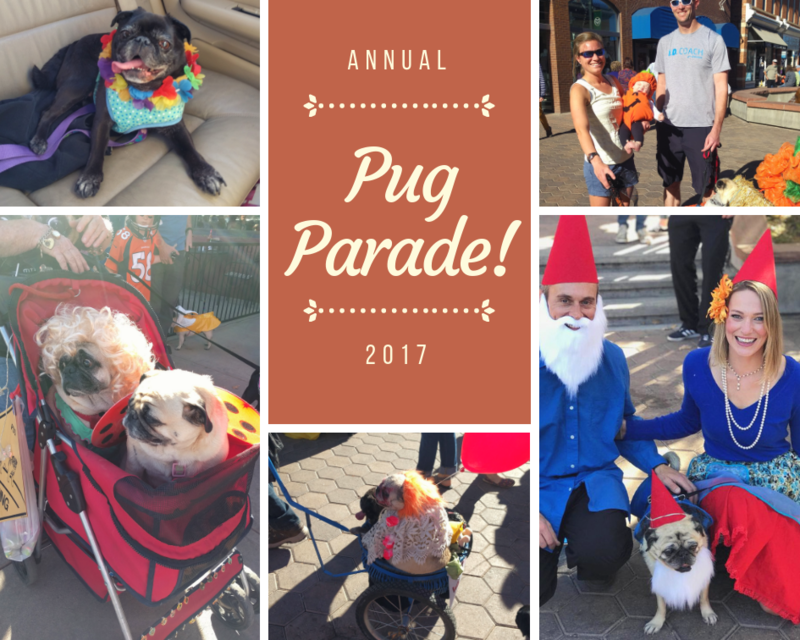 The Annual Halloween Pug Parade was held in the heart of downtown Fort Collins Colorado on October 29th, 2017. 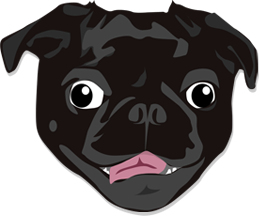 This incredibly fun event was hosted by none other than the Fort Collins Pug Play Group and was the biggest celebration of Pugs in the Fort Collins area! The costumed procession of Pugs (and other cute breeds) were lead by friends and family who also dressed up for the fun! With dozens of unique costumes to show off to the town we organized in the Oak Street Plaza then made our way down College Avenue and finally into the Old Town Square for some attention and photos! Though we didn't have a marching band nor any floats in our parade (yet!) we sure made an impression! Costumed Pugs managed to stall traffic during the parade but the crowd didn't seem to mind, ear to ear smiles and laughs all around! Check out some of the press we received! 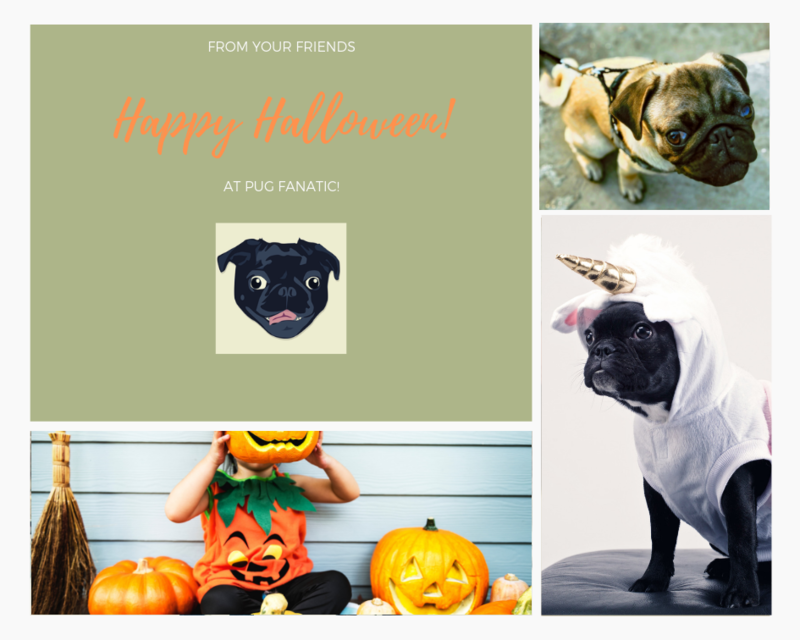 Be sure to stay tuned for next year's Annual Halloween Pug Parade!